Multiple news sources have been showing footage and posting pictures of the bus, which appears heavily damaged. FOX 13 reports that some children were trapped inside the vehicle. What could cause a bus to crash on its own? The investigation has just started, and all we know for sure is that no other vehicles were involved in the accident. What we don’t know is why the bus driver lost control. Benton, AR and Dallas, TX are only about 4 hours away from one another, which is well within the federal Hours of Service regulations. That being said, police have not released much information about the driver, so we do not know how many hours she may have been driving before she picked up the children. The deadly crash occurred around 2:40 in the morning. At this time, it appears that the weather played no role in the one-vehicle accident: “At the time of the crash, the skies were mostly clear in the area, there was visibility of 10 miles or greater and there was no precipitation, according to the National Weather Service in Little Rock.” Videos and photos of the scene, however, show few to no lights on that stretch of roadway, so it would have been incredibly dark when the bus rolled over. Who is liable in this type of situation? Charter buses are owned by private companies. As such, the owners of those companies are responsible for ensuring that the buses are inspected and maintained, and that their drivers obey the rules of the road. If the driver was texting behind the wheel, speeding around a curve, or engaging in otherwise negligent behavior, then both she and the company could be held liable. 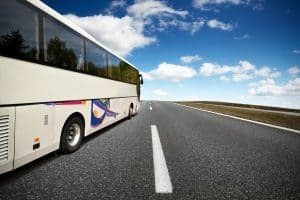 If the charter bus needed some kind of maintenance, or if the company pushed the driver to take risks behind the wheel, then the company may be held liable for the wreck. If, however, the bus had a defective part that broke or malfunctioned during the ride, then the manufacturer may be held responsible. At this time, there simply isn’t enough information to know what happened. All of us at Bailey & Greer, PLLC are keeping the families in our thoughts. We hope that as new information comes to light, the victims and their loved ones will be able to find the answers and the peace they seek.